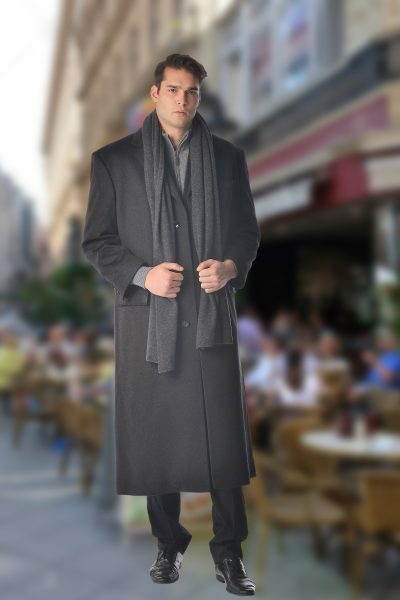 This 100% pure cashmere hip length car coat for men features a straight collar and button down front. 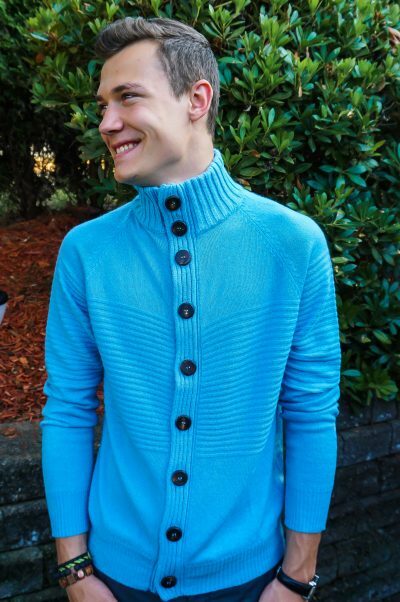 This is a single breasted, hip length coat with side pockets. 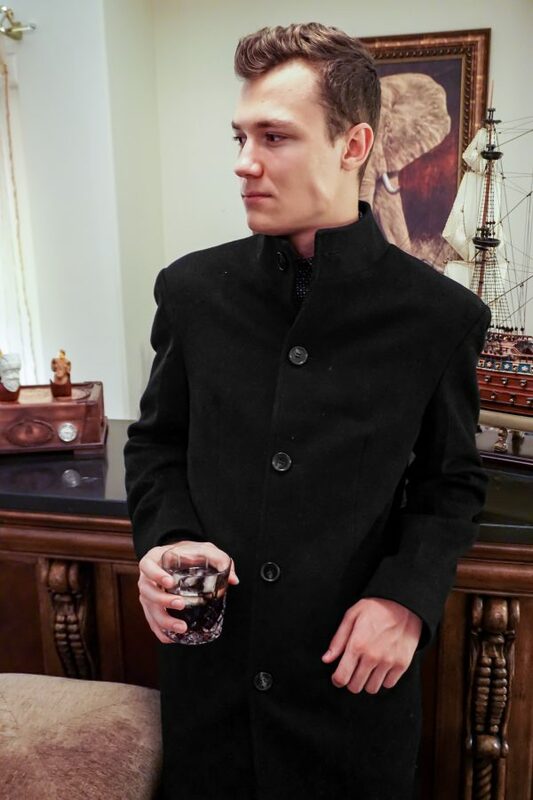 The other features of this coat include 5 buttons and a polyester satin lining. 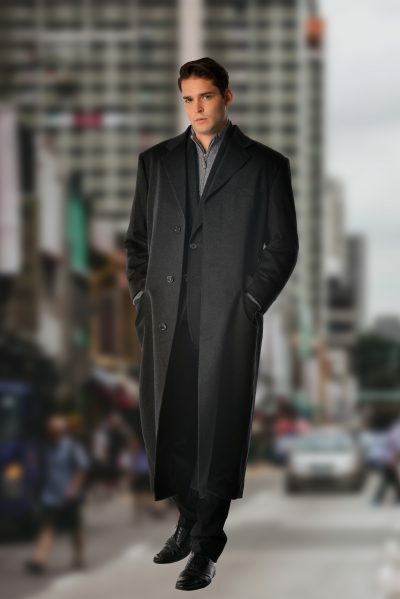 This stunning cashmere coat is offered in a Black color and standard US sizes of S, M, L & XL.